Granada Hills Dental Group in Granada Hills, California is a family owned business. 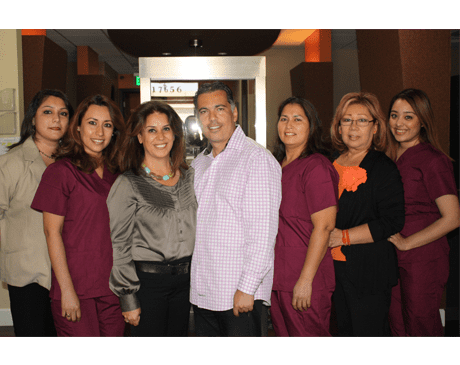 Dr. Kamran Rafie, along with his wife, Dr. Shadi Khoshbin, has been serving patients in the Granada Hills area since 1997 and recently moved to their brand new, state-of-the-art facility on the corner of Chatsworth and White Oak. Together, they provide their patients with the individualized care necessary to make you look and feel better. Dr. Rafie completed his undergraduate degree at UCLA and received his DDS from USC. He's a member of several dental organizations and speaks English, Spanish, and Farsi. In addition to general dentistry, Dr. Rafie offers cosmetic dentistry, pediatric dentistry, and periodontal services. Together, Dr. Rafie, Dr. Khoshbin, and their staff help you and your family become healthier, happier, better-looking version of yourselves. Regardless of the condition of your mouth or your age, you leave the office with an improved smile. If you want to improve the appearance and health of your mouth, call or click today to make an appointment.